I absolutely fell in love with this book and it belongs to my stack of favorite books now! 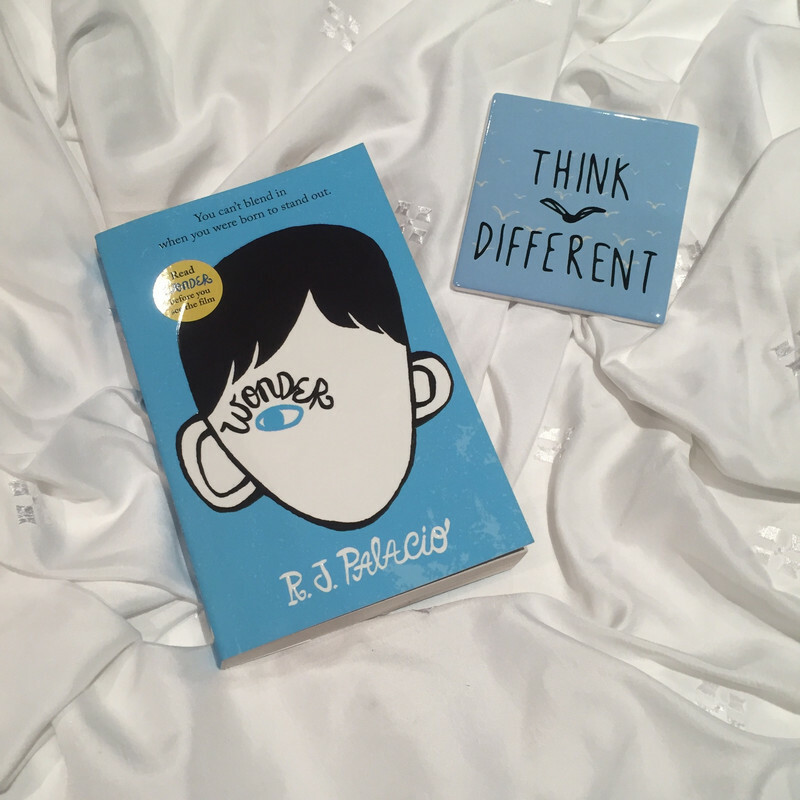 The book Wonder was written by R.J. Palacio and has also been made into a movie. The story is about a special boy, called August. Inside Auggie feels like a normal 10 year old boy, but his face doesn’t match that. He was born with a facial abnormality, which other kids find scary and grown ups don’t really seem to know how to react to it either. 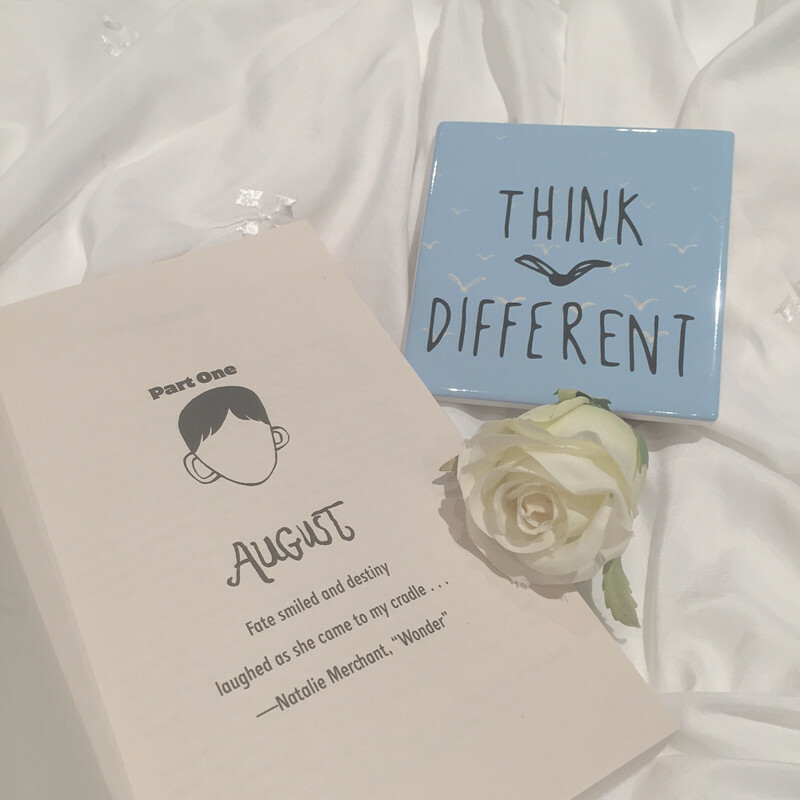 August is aware he is different and it hurts. He was homeschooled by his mom, but life has got to the point where he is ready to go to a regular school. While Auggie might be ready, his classmates sure aren’t. Will he be able to convince them to look beyond his imperfections? August really stole my heart. Even though he’s so young, he already has a lot of life experience. He has had an enormous amount of surgeries and everyday he goes outside he has to deal with people judging him. Even though his short life hasn’t been easy, he is such a positive and openminded kid. What I like about this book is how you’re able to look into August’s head and see how things are for him. The book is divided into different parts. Every part has a different storyteller. Most parts are told from August his perspective, but there are also parts where people around him are telling the story. This makes the book really interesting, because the same event makes different impressions on the storytellers. This way you get different opinions from the same event and that keeps you thinking. This book now belongs to my favorite books! It was on my TBR list for a long time and I can’t believe I haven’t read it sooner! I’m dying to read the rest of the series, because I’m so curious what stories they have to tell. I love how this book sharpens my vision and reminds me that people who look different, don’t necessarily think different. A person is a person and I sometimes find myself treating a person different because of handicaps or imperfections. This book is a great reminder that people with a “flawed” outside can have a perfect working system on the inside. I give this book 5 out of 5 stars, no doubt.